Identification: Wings are translucent, veins are usually white. 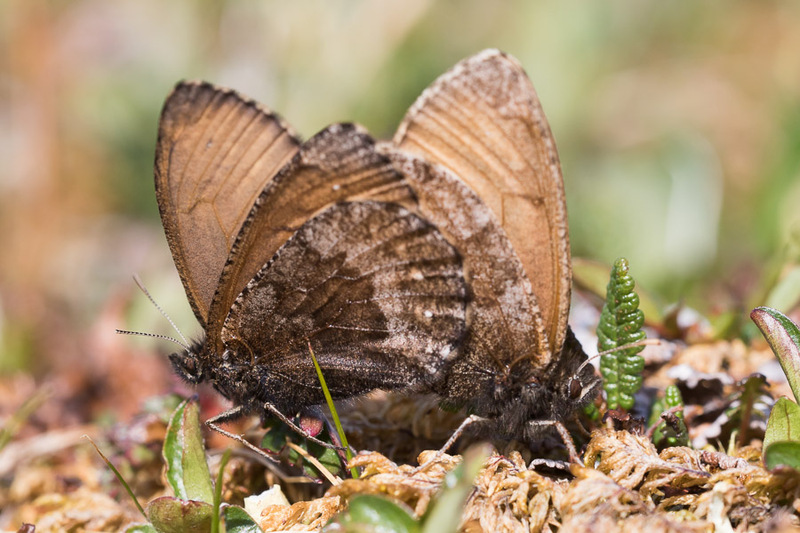 Upperside is gray-brown with no eyespots. 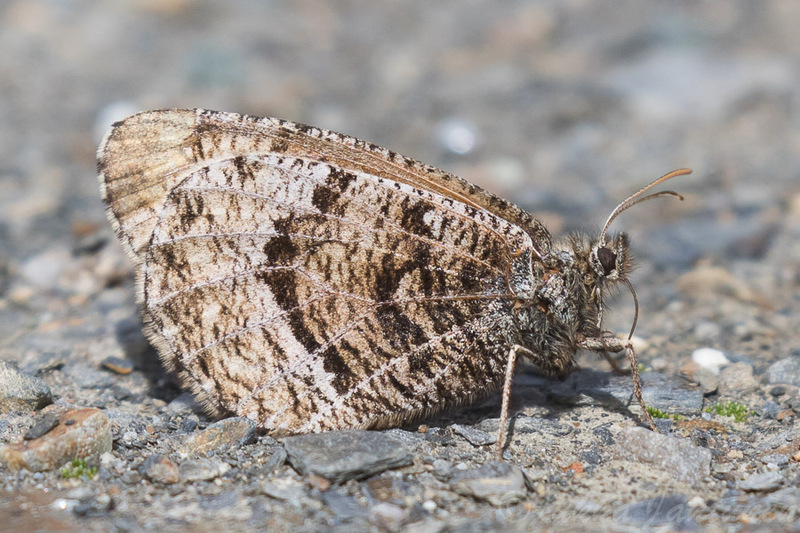 Underside is light brown; hindwing has a dark median band outlined in white. Wing Span: 1 7/16 - 1 7/8 inches (3.7 - 4.8 cm). 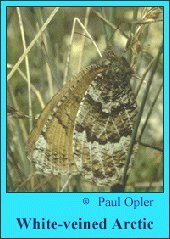 Life History: To find females, males perch and patrol all day on grassy hillsides or swales. Females lay eggs on dead grass or sedge blades. Two years are required to complete development; the first winter is passed by first-stage caterpillars, the second winter by mature caterpillars. Flight: One brood in late July. Caterpillar Hosts: Grasses or sedges. Adult Food: Occasionally flower nectar. 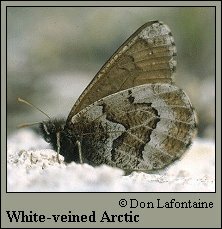 Habitat: Tundra, grassy alpine slopes, and subarctic bogs. Range: Holarctic. In North America, high arctic tundra from Alaska east to Labrador. Isolated populations in the alpine Rocky Mountains south to southwest Colorado. Isolated population on Mt. Albert, Quebec.